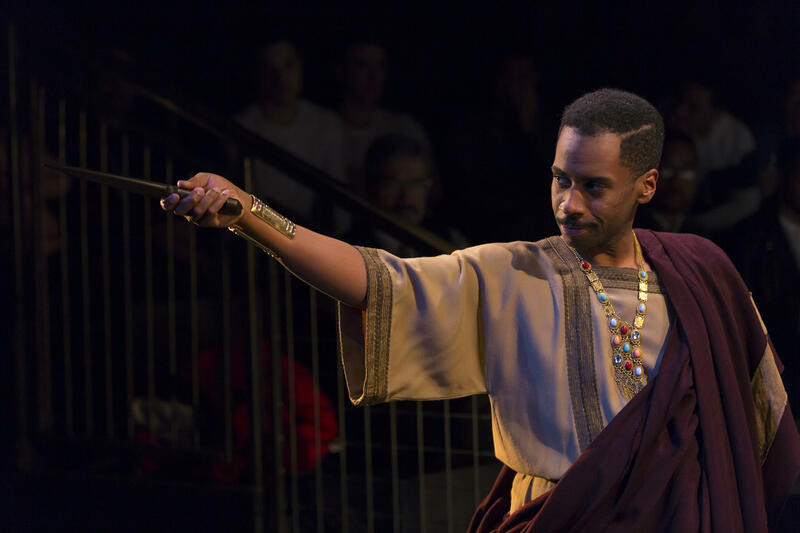 Three years of work for Kansas City actors, set designers, stage managers and students at four universities culminates this week and next when New York's The Acting Company presents William Shakespeare’s Julius Caesar and Marcus Gardley’s X: Or, Betty Shabazz vs. The Nation in repertory. 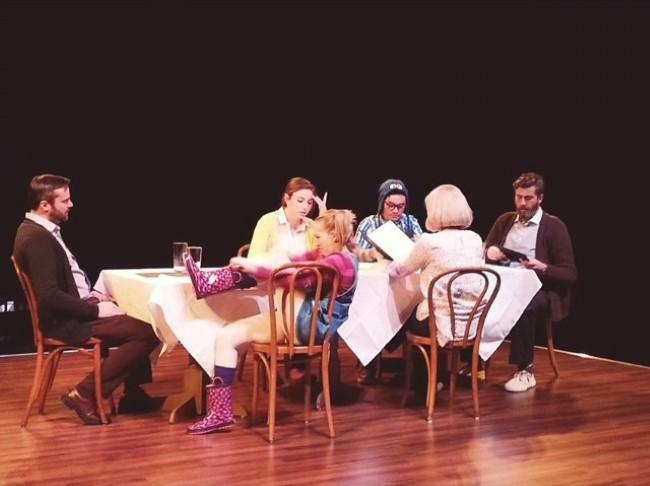 Since its founding in 1972, The Acting Company has toured the country presenting classical theater and new dramatic work, nurturing young talent in the process. Famous names to emerge from its ranks include Kevin Kline and Patti Lupone; less-famous members include a dozen graduates of the UMKC Theatre's M.F.A. program. A few years ago, The Acting Company contacted the chair of the department, Tom Mardikes, to talk about a new concept. Having hired UMKC graduates and brought productions to the region, the Company had a passing familiarity with UMKC and the region, but this was different. That fit with the mission of UMKC's program, which works to get student actors, designers and technicians working side-by-side with professionals. 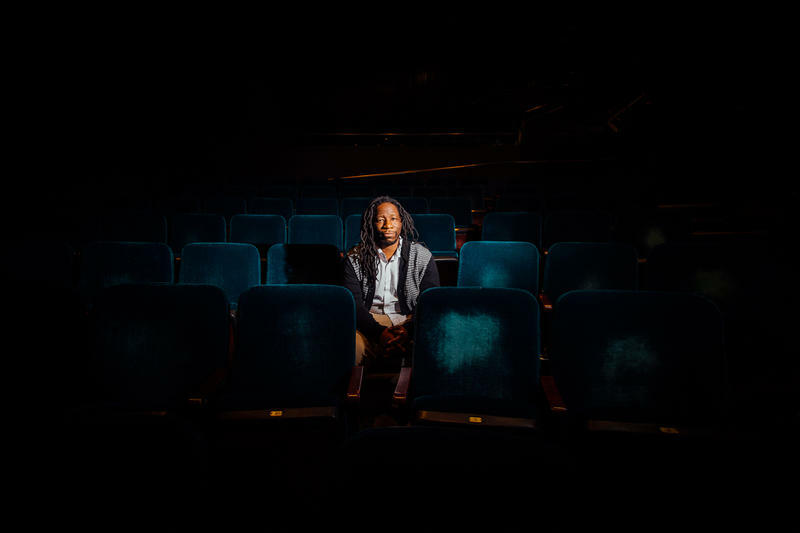 That’s why the Kansas City Repertory Theatre was created, Mardikes notes, and UMKC students have continued to be involved with the Rep as it's grown into a regional powerhouse. The department has since added co-productions with The Coterie (doing the design for its current production of Hana's Suitcase, for example), as well as the Unicorn Theatre and the Kansas City Actors Theatre. "Here was an opportunity to really get to know a New York-based company that specifically hires young M.F.A. graduates. What's to lose?" Mardikes says. So, three years ago, The Acting Company's artistic director, Ian Belknap, and other colleagues from the company paid visits to UMKC as well as to the theater departments at the University of Missouri in Columbia, the University of Central Missouri in Warrensburg and the University of Kansas, along with six area high schools to develop what they called the Kansas City Consortium. "Tom introduced us to his wonderful colleagues in design, acting and the stage-management program, and we just felt like-minded immediately," Belknap says, "as if these were colleagues we'd known for a long time." Two years ago, Belknap and his colleagues returned with up-and-coming playwright Marcus Gardley to work with the Consortium as Gardley developed X: Or, Betty Shabazz vs. The Nation. "They all worked together doing readings of the play and rehearsals, with Ian testing directions and Marcus doing rewrites during the day," Mardikes says. "Eighty people come and sat and listened to the reading." "That we were able to workshop Marcus’s play in Kansas City together, with the students, just allowed us to have a safe space to create, and I will always be grateful for that," says Belknap. "That was the jewel of the whole experience for us." The idea for X came to Belknap when he was reading a long biography of Robert Kennedy and decided he wanted the Company to produce an assassination play. The Kennedy biography included a short reference — "almost a footnote," Belknap says — about Malcolm X's assassination. 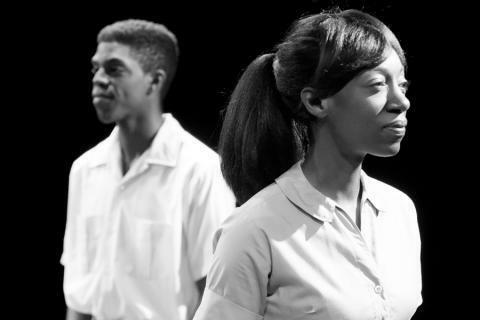 "I thought, 'What if we make the Kennedys the smallest characters in the play — what if we marginalize that ubiquitous American story — and elevate the assassination of Malcolm X onto center stage?'" says Belknap, who then commissioned Gardley to write the play. "It tackles so many relevant themes: the Nation of Islam, race, and explosive political rhetoric and religious rhetoric," Belknap says. "Factions form, and there are betrayals. It just brought up all of these themes that are relevant in 2017 in America." Pairing this story of the 1960s, as told through the eyes of a living playwright, with a story from Ancient Rome as told through the eyes of William Shakespeare, would, Belknap believed, lead to a "comprehensive conversation about betrayal, race, and religion." Producing X: Or, Betty Shabazz vs. 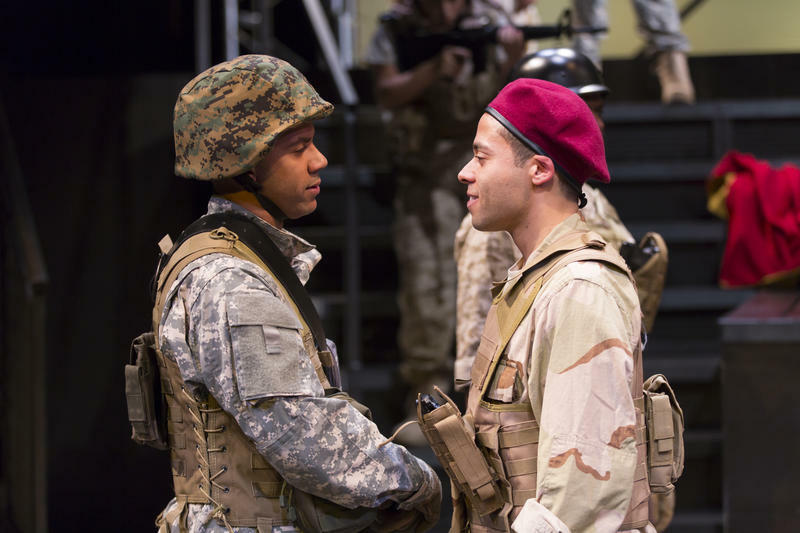 The Nation in repertory with Julius Caesar was "a cool concept," Mardikes says. "In Julius Caesar, Caesar is assassinated by people who were his friends and were close to him. That’s the grand connecting theme to Malcolm X: He was assassinated by his brothers in the Nation of Islam, for a number of reasons in history that come out in the play," Mardikes says. "Everyone loves seeing actors do two completely different things," Belknap adds. "What every theater artist aims for is that the audience will see their humanity — some part of their own identity or experience — reflected on stage. When you see Shakespeare and a brand new playwright, when you see human beings do two separate things, that’s when you really see your humanity." Area college students have seen something else: Opportunity. Katherine Gehrlein was in her first year in UMKC's graduate program in theater, design and technology, with an emphasis in stage management, when she spent a week running the rehearsals, tracking the script changes and managing the staged reading of Gardley's play last year. Afterwards, The Acting Company offered her an assistant stage manager position on tour, which would have been an Actors' Equity union position. "It was the biggest boost of confidence I've had since joining the M.F.A. program. It just validated everything I've been taught as a stage manager at UMKC, and that yes, I'm good at this and do have skills valuable to the the profession," says Gehrlein, who ended up declining the position partly so she could finish her program in Kansas City. But a 2016 UMKC M.F.A. graduate named Jon Robertson will be running sound for both productions. "He's a really impressive sound designer who is now our sound supervisor on the road," Belknap says. "He's now part of our touring fleet and oversees all the music and audio mixing and supervises the sound design in both shows all across the country." And when The Acting Company packs up and heads out for its runs in other cities, the Kansas City Consortium will still be here. Prior to this project, Mardikes says, his colleagues in the other university theater departments would sometimes see each other at conferences, but they didn't really know each other. "Because of this, we’ve created our own network, we’re doing things together, our faculty know other faculty and what our students doing, and students are graduating from one program and going to another program," Mardikes says. "There's great synergy going on because of this thing. Somebody should have done this a long time ago." 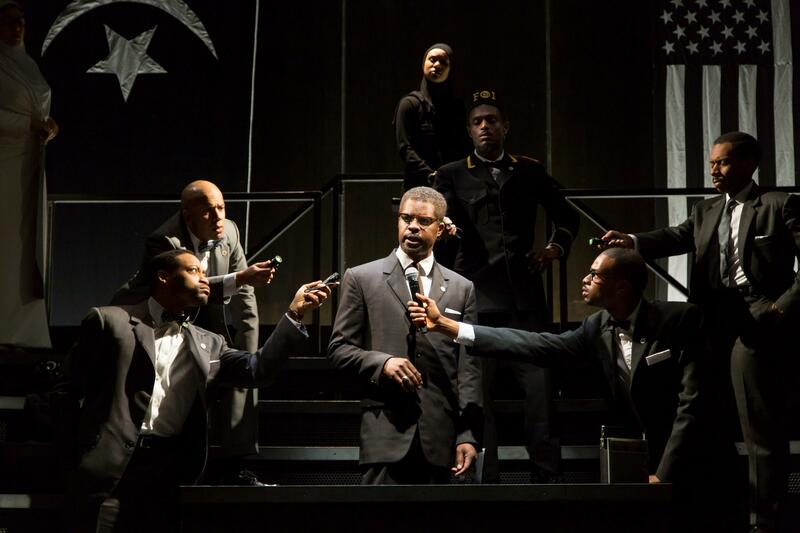 Julius Caesar and X: Or, Betty Shabazz vs. The Nation, February 15-16 at the Lied Center, University of Kansas; February 18-19 at the Rhynsburger Theatre, University of Missouri-Columbia; February 21-23 at the Spencer Theatre, University of Missouri-Kansas City; February 24-25 at the James L. Highlander Theatre, University of Central Missouri, Warrensburg, Missouri. 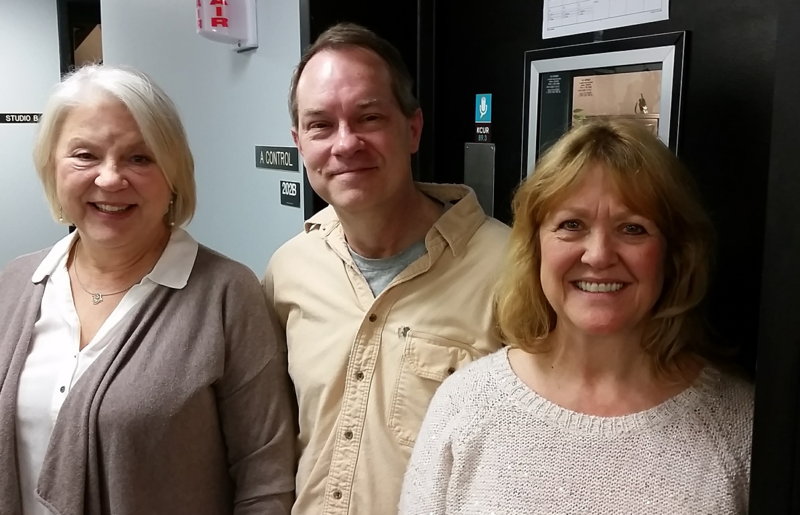 When the Kansas City Actors Theatre opens Israel Horovitz’s My Old Lady next week, the production will star three actors that might, in one of the profession's euphemisms, be described as "well-known" actors. But KCAT isn't bothering with euphemisms. The show "provides three great acting roles, especially two for middle-aged and older women,” director Darren Sextro said in the show's news release, adding that this particular group of artists "deserves more opportunities than they’re offered." The Coterie Theatre, in its nearly 40-year history, has often challenged audiences with difficult subjects, such as bullying or the Salem witch trials. 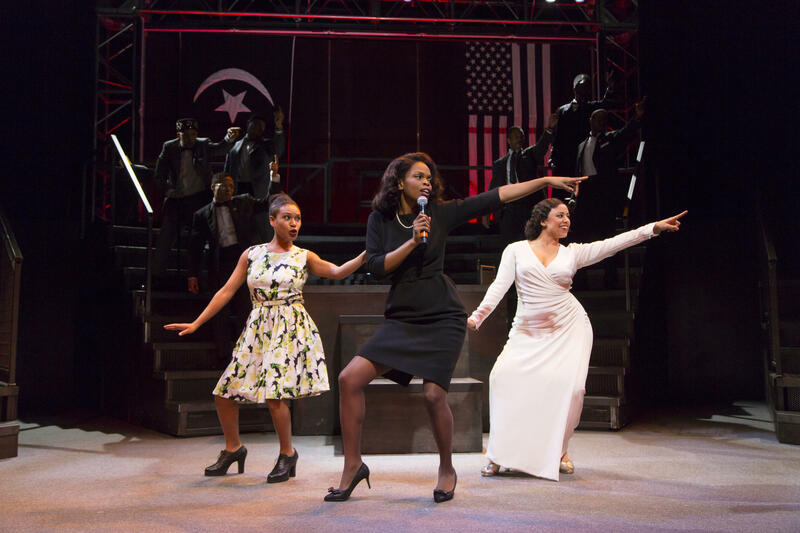 The theater continues the tradition with its current production, The Nine Who Dared: Courage in Little Rock.